Our friends at Team Margot & NHS Blood and Transplant have made this cool video explaining ways how you, your friends and families can give to help others. Please watch this video with your family & loved ones and encourage them to consider how they can help. For over five years, we have provided a successful, powerful email marketing automation integration with Salesforce. We connect your Salesforce account to Campaign Monitor, the great email marketing solution. Campaign Monitor for Salesforce, gives our customers a more complete view of their customers in both apps and sends hyper-targeted emails. We make it easy for you to create beautiful branded emails that are as effective they are attractive. 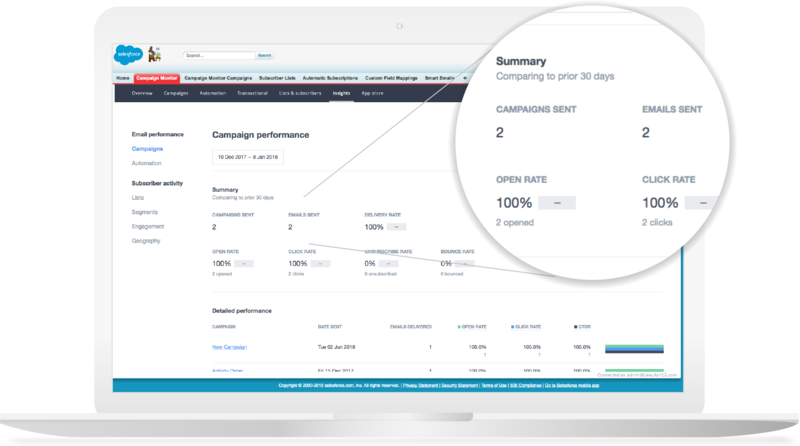 Campaign Monitor for Salesforce allows you to build beautiful, branded email marketing campaigns within Salesforce using a drag-and-drop builder, and professionally-designed, mobile-ready email templates. Used by over 200,000 businesses. Enables you to run beautifully-designed, professional marketing emails to grow your business. 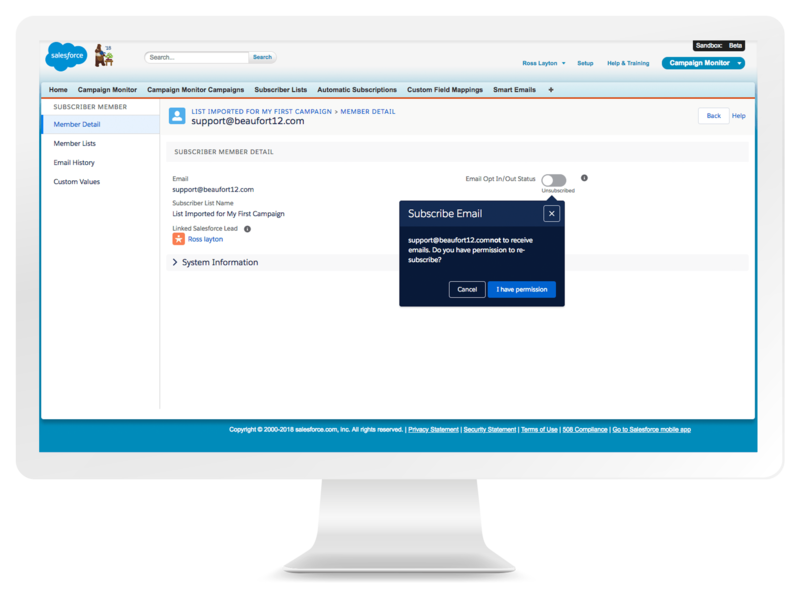 Within salesforce you can build your emails and access features such as email templates, creating campaigns, list management and reporting. Keep track of your emails and customers perception of your marketing campaigns. "Campaign Monitor For Salesforce is easy, fast and seamless to integrate. It has enabled us to really reach out and get to know our clients. The customer service is brilliant; its responsive, helpful and personal, by people who really know their product and care about their customers." 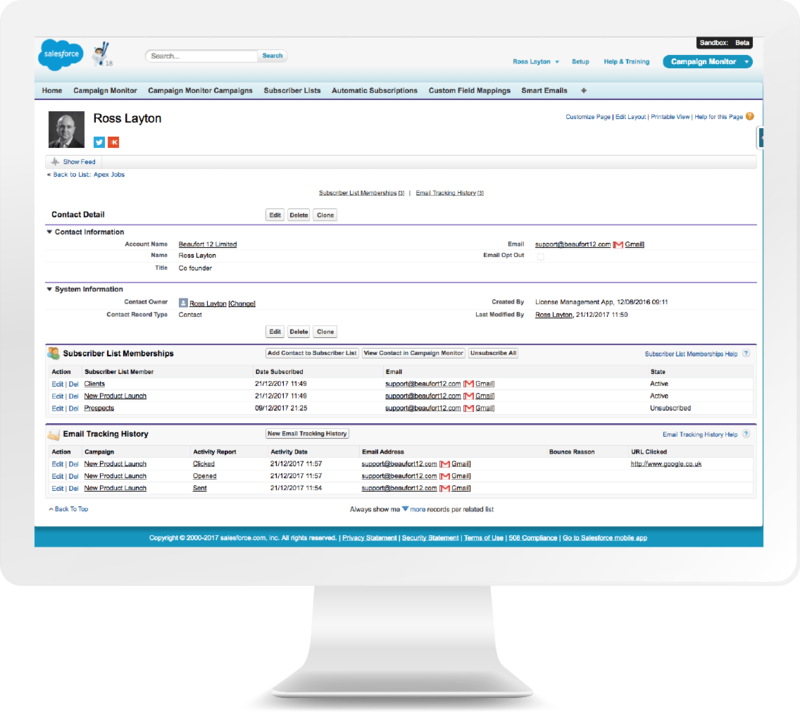 With Campaign Monitor for Salesforce, we enable you to work in one place to manage your contacts, no switching between different sources. 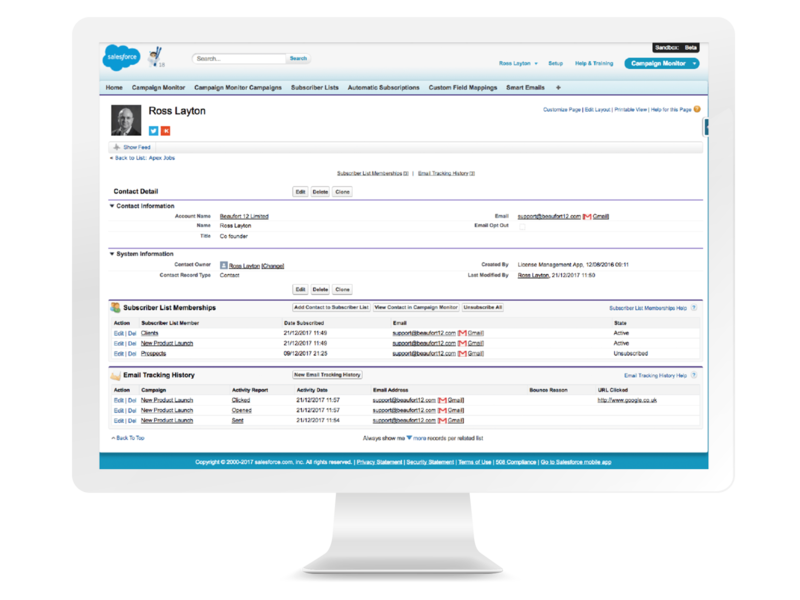 You can view your Campaign Monitor data right in your Salesforce records. Get real time data and reports to help you improve your marketing strategy and give you the best email marketing results. View who is engaging with your emails and who is not, and track your subscriber lists. Watch your opens, sends, shares, bounces, clicks, and monitor your success, in real time. You can then target your customers based on their behavior and preferences to lead to more successful email marketing. 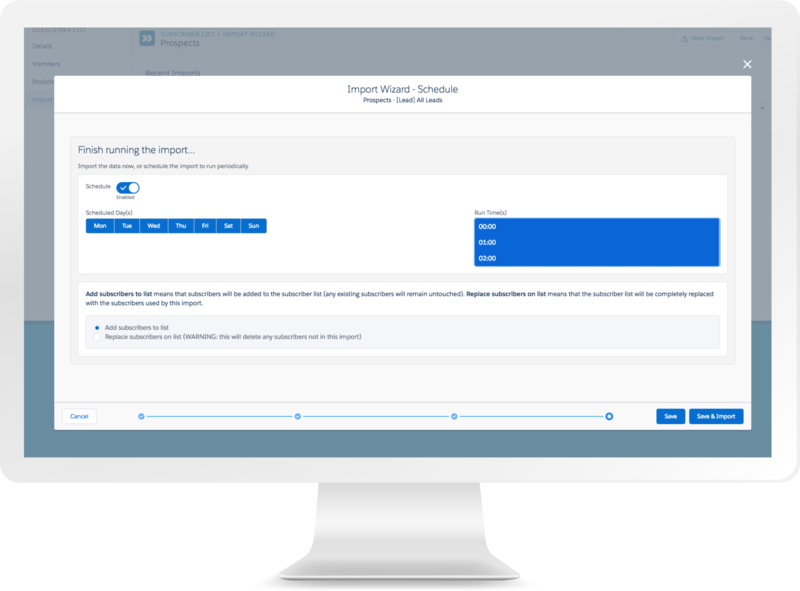 Using our import wizard, you can automate the adding and updating of your salesforce records to campaign monitor, so you never miss a new contact or changes on an old contact. 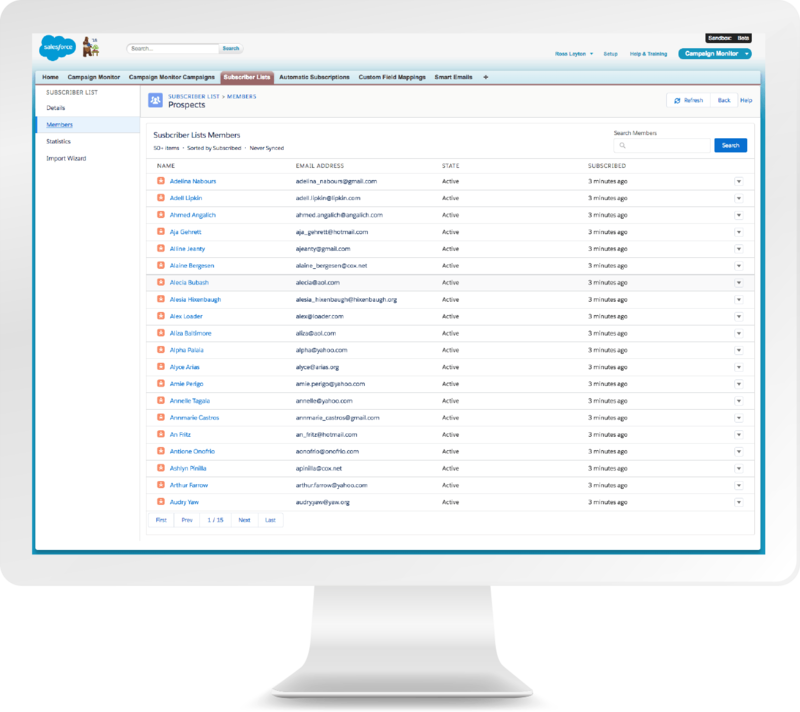 With your Salesforce data you can segment Campaign Monitor lists, personalise emails, and drive your Campaign Monitor email campaigns. Customers want to be able opt out of emails easily. By putting this in their control, leaves a positive message about your business, that may make them think twice about opting out. We provide you with an easy ‘’Opt Out/Opt In’ option for your customers, that you do not have to manage. 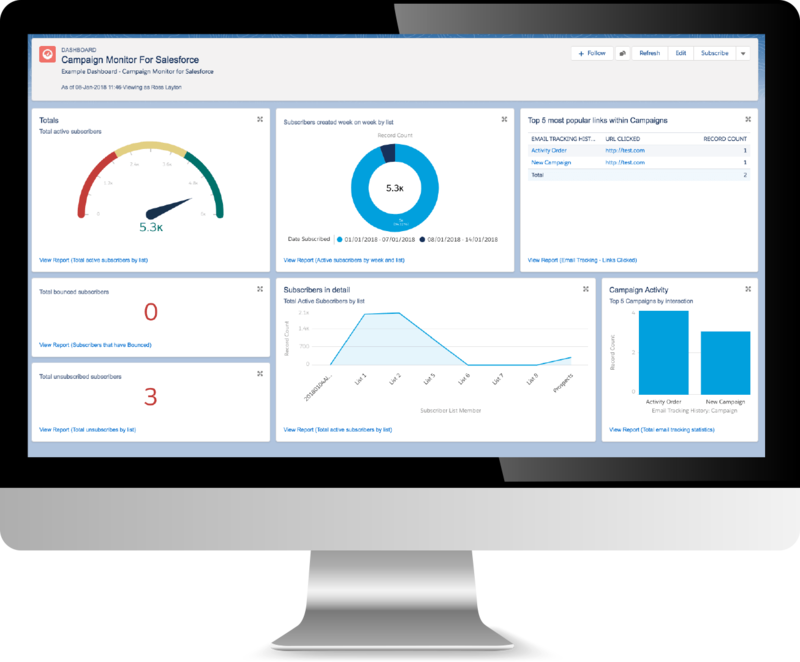 Try Campaign Monitor for Salesforce for FREE! 14 day free trial, starting from $8/month thereafter. 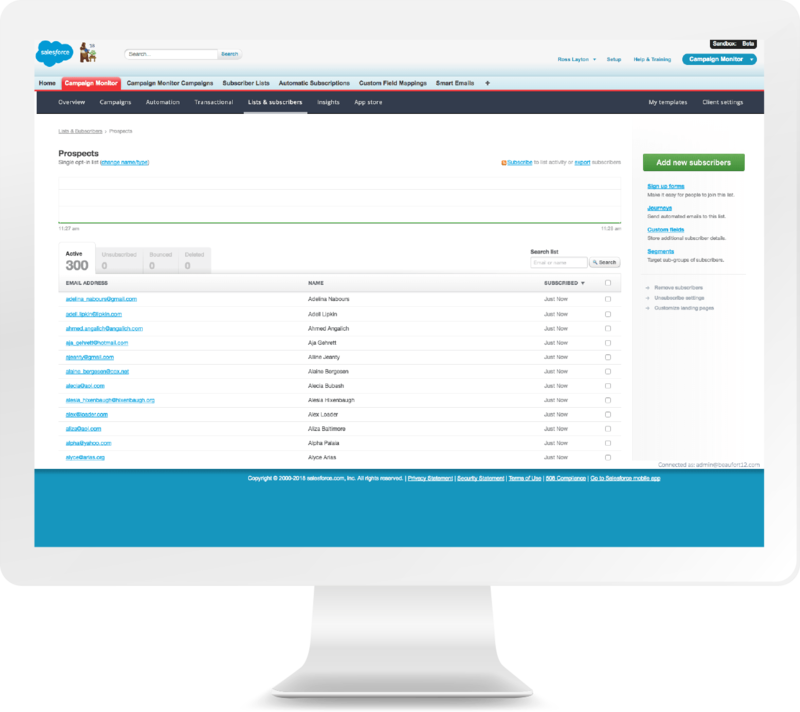 Campaign Monitor for Salesforce allows you to trial for free the first 14 days. Billing is monthly from date of purchase, per organisation, so all Salesforce users within that organisation get access for a single price. Pricing is based on how many active subscribers are in the subscriber lists synced between your Salesforce and Campaign Monitor accounts. If your active subscriber total changes in the new billing month, you will be moved to the appropriate tier. The Campaign Monitor for Salesforces plan is separate from Campaign Monitor's Premier plan, and needs to be purchased separately.